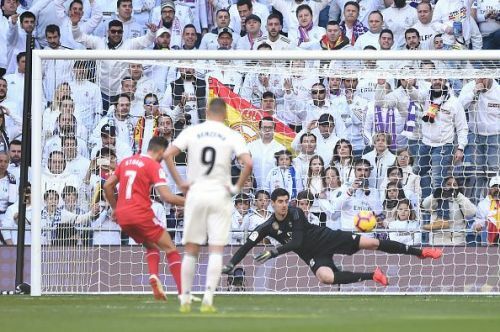 Real Madrid have been consistently poor for almost the past decade in the La Liga Santander and have won the competition only twice in ten years. 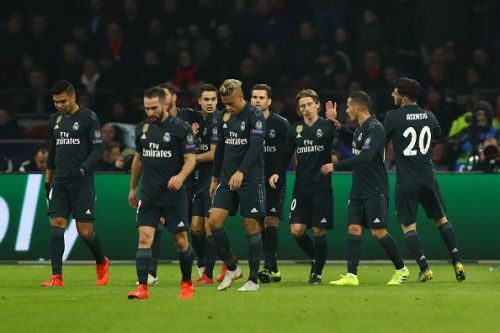 Almost every year, they mess up during the crucial stages and are not able to take the lead over bitter rivals Barcelona. This season has been quite similar for them. Madrid were in good form in the past few games and it looked like they will catch up with Barcelona. Having defeated neighbors Atletico Madrid 3-1 at the Wanda Metropolitano, it looked like the Madrid we have known for years is back and they are not going to give up this time and will do everything to go close to Barcelona. Madrid purchased World Cup Golden Glove winner Thibaut Courtois and dropped their main keeper Keylor Navas in the process. But this transfer hasn't really panned out as they would've liked it to. Courtois is a good keeper but he makes lots of errors and has not been able to keep many clean sheets. The former Chelsea shot-stopper has conceded 29 goals in the league and has been poor at the back. His performance in the Clasico was awful and Madrid lost the match by 5-1. The Madrid defense this season has been reasonably poor with star players like Marcelo and Raphael Varane underperforming massively. Sergio Ramos has been the lone leader for them, but its impossible for him to control the defense all alone. Injuries have also been a setback for the team as Dani Carvajal, Varane and Marcelo have been out for many games. FACT: In Marcelo's last 9 starts in La Liga, Real Madrid have lost 6 games. 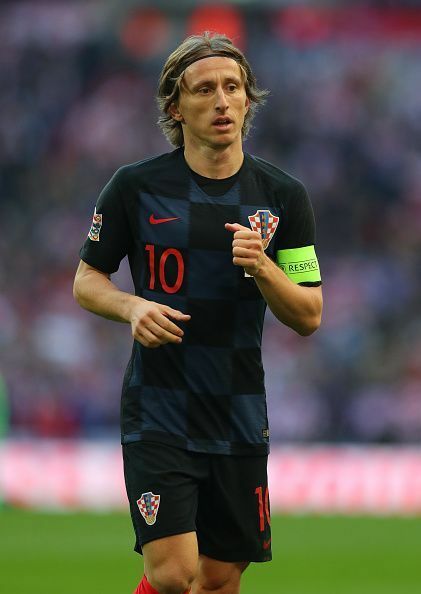 The Ballon D'or winner Luka Modric has always been one of the most important players for Madrid. He has always been consistent and the Bernabeu outfit has won many matches because of his brilliance. Madrid's midfield has been one of the best in the world for the past few years and he has been an important member of it alongside German star Toni Kroos. But this season, because of the World Cup, his performances have been affected and he's been considerably average. This is costing Madrid a lot as they are not able to control games. Both Kroos and Modric are not performing and have been disappointing throughout the season. Same is with the Golden Glove winner Courtois and the World Cup winner Varane. They both came back to Madrid after a long World Cup and got limited rest. They have looked tired in many games and you can feel the fatigue in their performances.